Chef Raquel graduated from the Institute of Culinary Education after completing her externship at Le Bernardin. In 2009, Chef Raquel created A Pinch of Salt, which offers hands-on cooking instruction focused on healthy, delicious meals. Chef Raquel’s commitment to healthy cooking was recognized both near and far, leading to an invitation to the South Lawn for Former First Lady Michelle Obama’s Let’s Move! Campaign. She then joined Wellness in the Schools as a WITS Chef, and worked with us for several years. Chef Raquel is passionate about helping start up food entrepreneurs succeed. 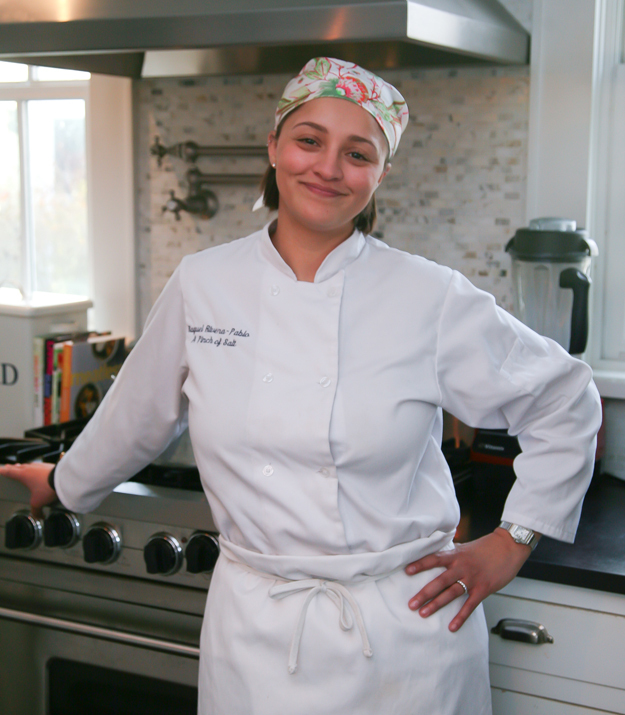 She consults, provides ServSafe training and culinary training for small businesses in Fairfield County. She can also be found doing cooking demos, workshops and classes for The Bridgeport Farmers Market Collaborative, local organizations, recreational centers, food pantries and senior centers. 2. Rub each half of the spaghetti squash with olive oil. Sprinkle with salt and pepper. Place spaghetti squash cut side down on a baking dish lined with foil and roast until tender, approximately 35-40 minutes. Remove from oven, cool slightly. Use a fork to scrape the inside flesh until it shreds into spaghetti strands. Set aside. 3. In a pan, warm 1 Tbs. of olive oil and cook onion until softened and translucent. Add garlic and cumin and cook for 30 seconds then add beans and corn. Remove from heat and cool. 4. Add the zest and juice of the lime and cilantro to the bean-corn mixture. 5. To assemble: Heat a corn tortilla in a pan. Fill tortilla with spaghetti squash and bean-corn mixture over the top and more cilantro. Enjoy! Chef Notes: To make spaghetti squash in a hurry, cut a slit in the squash lengthwise then use a fork to poke holes throughout. Place in the microwave and cook on High for 5 minutes. Remove and then cut completely in half where you make the slit. Remove seeds. Take one or both halves and place cut side down in a baking dish. Fill with water, covering the squash by 1 inch. Microwave on High for 5 minutes, and then in 2 minute intervals until squash is tender. Remove, drain, and scrape the pulp and season with salt and pepper! 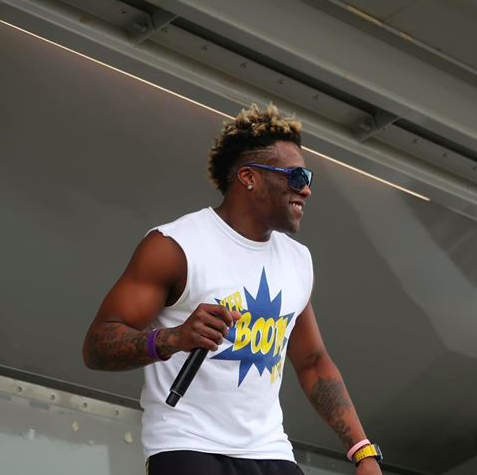 “To all my KerboomKidz out there, always remember to be yourself and do great things for others! Being a leader isn’t always easy but it is worth it! You can do whatever you set your mind to whether it is in school, activities or at home. Always remember, you are great! 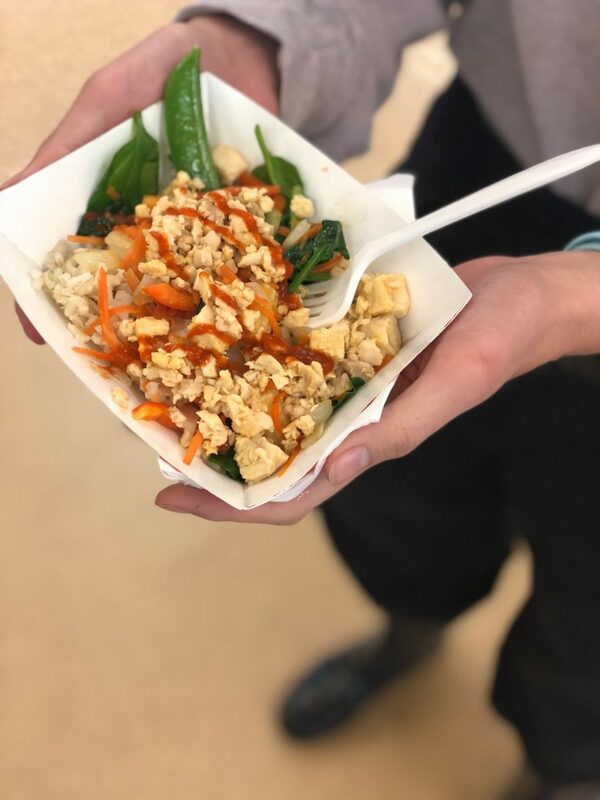 This January, our WITS Chefs out West rang in the New Year with a healthy concept to excite Novato California high school students about their cafeteria menu: a featured chef pop-up where they can build their own grain, protein and vegetable bowl. The build-a-bowl food trend of 2018 remains popular in fast-casual restaurants across the Bay Area where Poke Bowls, Quinoa Bowls, and Sushi Bowls are colorful, crunchy, and packed with healthy options. Our team dreamed up this concept after learning from the best practices of Vermont Food Services Director, Doug Davis, of the Burlington School Food Project. When Burlington High Schools started offering made to order solutions during the 2015-2016 school year, they saw their vegetable consumption go up, students started lining up early for lunch, and in a surprising twist, they saw students taking the tofu protein option most often. Our vision for the Novato pilot is to create an opportunity to engage with students in a new way, learning which global flavor profiles and creative custom meal solutions they would vote to see in future chef pop-ups, with a goal of three to four new K-12 fully reimbursable menu options to be rolled out during the 2019-2020 school year. Let Kids Play, and Let’s Move for Kids! Through first-hand experience and personal testimonials from students, parents, and teachers, we have always believed that the Wellness in the Schools Coach for Kids program reinvents the outdoor recess experience, and gets kids more active. Our evaluation from Tisch Food Center shows strong data points that support and affirm this belief as truth. Our program leads to a 10-fold increase of activity levels, when recess is indoors due to inclement weather. Studies have also proven that our programming increases activity levels throughout the whole school day. The overall increase of positive play encourages and increases pro-social behaviors. Teachers have reported that there has been a significant decrease in the time it takes for students to be ready to learn, after returning to the classroom from a Wellness in the Schools lunch and recess. As our Coach for Kids Flagship program continues to grow, and we continue to analyze its impact, we have been able to expand our reach with the pilot of our BootCamp program. BootCamp is a district wide 3-day workshop, designed to train teachers and recess aides on how to provide more opportunities for movement. 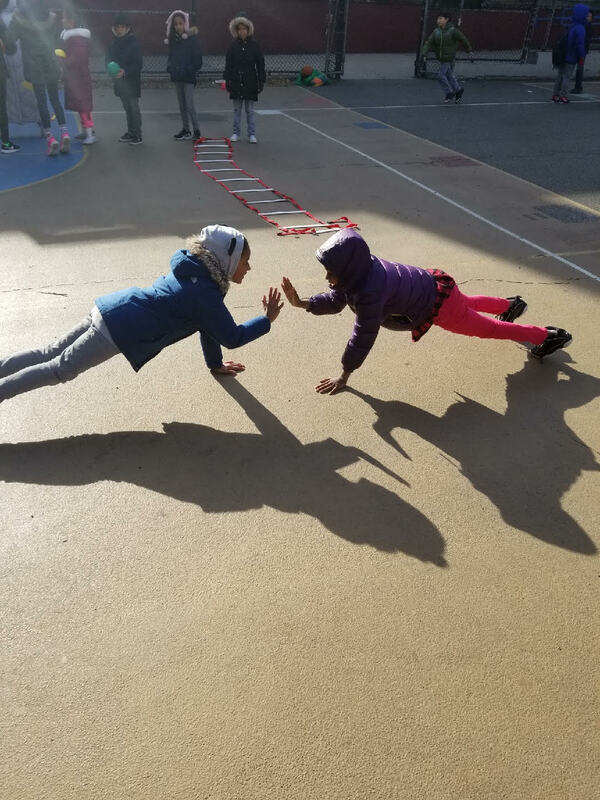 Our curriculum extensively covers topics such as how to create a healthy recess environment, and how to implement classroom fitness tools. Once trained, a Wellness in the Schools Coach provides weekly follow up support for the duration of the school year. School wellness leaders can change the culture of schools by developing a holistic plan for year-long wellness events and activities. The BootCamp program equips the school wellness leaders with these tools in a sustainable way. With all the excitement around the Coach for Kids program and its success, the demand for the programming continues to rise. Our 2nd Annual Move for Kids fundraiser is around the corner. 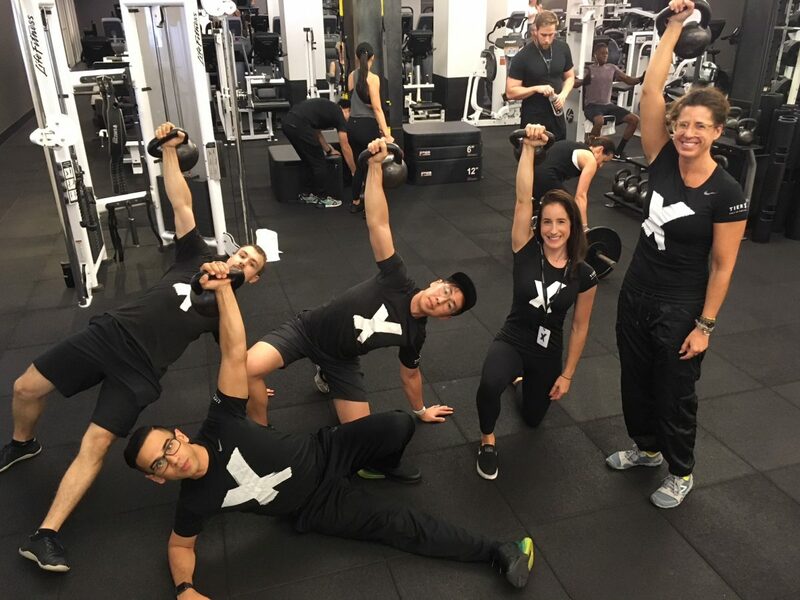 During the week of January 28th, fitness studios throughout NYC and Miami will be hosting charity classes with all proceeds going to bring Coach for Kids to a high-need school! Come join the fun, click here for more details, and sweat with us so we can get more kids moving! This year, Wellness in the Schools will spearhead a truly collaborative effort to change the future of school food in this country. Wellness in the Schools, along with the Life Time Foundation, will kick off the School Food Innovation Lab (SFIL) this spring. SFIL will gather School Food Service Directors across the nation, as well as leaders of organizations in the school lunch space, to combine independent efforts in order to make greater change. The school food landscape has seen significant changes over the years. Due to rising childhood obesity rates and, subsequently, a louder push for health initiatives, there has been greater scrutiny on the future of school food. In response, a number of nonprofits, for-profits, school districts, and other innovators have devised programs and tested groundbreaking models in schools across the country. As a result, scratch-cooked items are being incorporated into school cafeteria menus, edible gardens are cropping up all over the country, and nutrition education is being integrated into the school day. Yet, the question remains – how can we combine these independent efforts to better feed this upcoming generation? SFIL aims to address that very question. The preliminary planning process has already begun, and the call to action has been sent out. Once participants are finalized, SFIL will officially begin with a two-day, in-person meeting in the summer, and then will be followed by three subsequent calls that will take place throughout the following year. WITS has engaged a facilitator to lead the participants in the discussions and to guide the team in devising a collaborative roadmap for systemic change. After a year of planning and conversation, the team will produce a roadmap to implement programming of best practices in a “test” school district, as well as strategies for overcoming barriers to innovation. This pilot program will be put to the test for the 2020 – 2021 school year, and will be monitored and supported by the SFIL team. The 31 million school children receiving school lunch deserve better, and nationwide reform cannot be fully achieved through a singular endeavor. Through a combined effort, and as a collective team, we will be able to make a sustainable and powerful change that transforms the school food landscape, one plate at a time. That I spend every day on the issues I care about the most: the food system and the environment. It’s rewarding to focus on your quirky passions, like sustainable packaging and ingredient transparency, and have in-depth conversations with such knowledgeable colleagues who share these interests. How (and when) did you hear about Wellness in the Schools? More than a decade ago, my great aunt Marilyn Katz, a talented writer and academic, then in her late 70s, was one of WITS’ original volunteers. Through a program called Gray Matters, Marilyn advised WITS on communications, in the very early days. Years later, while studying Food Policy at New York University, I had the opportunity to join WITS, and build on Marilyn’s work. What interested you about getting involved with Wellness in the Schools? Kids spend thousands of hours in school and learn many of their lifelong behaviors from teachers, principals, and peers. We cannot always control what happens at home, but WITS is paving the way for better lifelong outcomes, by bringing kids real food, physical activity, and critical nutrition education. WITS is making schools healthier and happier environments. I can’t think of a better way to drive real long-term change. Can you share a memory of Wellness in the Schools? There are too many to count, but the absolute highlight was participating in a WITS Apple Lab with elementary school kids in the Bronx. WITS Chef Ricardo’s ability to teach nutrition to kids who were maybe 8 or 9 is remarkable. The kids soaked up his every word – they learned valuable knife-skills, grew to adore applesauce, and developed an appreciation for fresh food. We’re lucky to have you as the President of WITS’ young professional group, which we call the Associates Council (AC). Can you share a bit about the development of the AC? How (and why) was it developed? While at WITS, we often discussed expanding the WITS network to the next generation of leaders and soon-to-be parents. We soon discovered the WITS mission has great appeal to all generations. Over the past year, we’ve cultivated a group of more than 25 professionals, mostly in their 20 and 30s, interested in children’s health. By taking on pro-bono volunteer projects, from fundraising strategy and event management to PR and marketing support, the group is generously lending their professional skills to help WITS grow. What makes you excited to be a part of the AC? In partnership with my Co-President, Sydney Werber, we’ve created a new type of WITS volunteer experience – rather than just volunteering for an event, the Council is tackling some of WITS’ biggest strategic challenges and priorities, in partnership with WITS leadership and staff who are experts on the program, and is addressing the complex dynamics of working in schools. It’s an amazing learning opportunity, both for WITS and the Council Members. Any interesting events the AC organized? Bill Telepan led an intimate seafood-focused cooking class at ICE, exclusively for Council members. We walked away with new culinary skills, new friends, and of course, full stomachs. We’re planning more events like this for 2019. For an organization that functions primarily on a school year schedule, a new calendar year is really just a midway point for us. The first half of this school year has been marked by something we have always done quite well – collaborate. Since we began, we have been a close partner to the NYC Dept of Education Office of School Food. While that collaboration continues to be our most robust, this year I also want to give mention to the many organizations with whom we work together to bring about healthy change, for kids in schools here in NYC. I just returned from a City Council hearing to advocate for bills to improve food and nutrition in NYC public schools. I was truly emotional standing on the steps of City Hall, knowing that we have come so far from the early days of doing this work alone. Thanks to The Tisch Center for Food Education and Policy, we now have an amazing coalition of food and nutrition advocates (nearly 100 of us!) who are already proving the value of “united we stand . . .”. 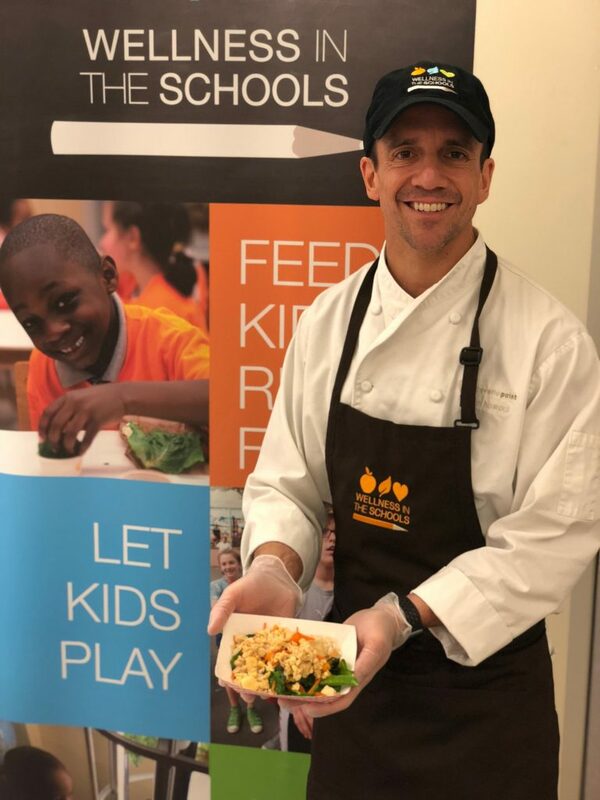 Next month I will meet up with new partners from Life Time Foundation, and old friends from Whole Kids Foundation, to begin our preparations for the School Food Innovation Lab – a national example of collaboration in the quest for school lunch reform. 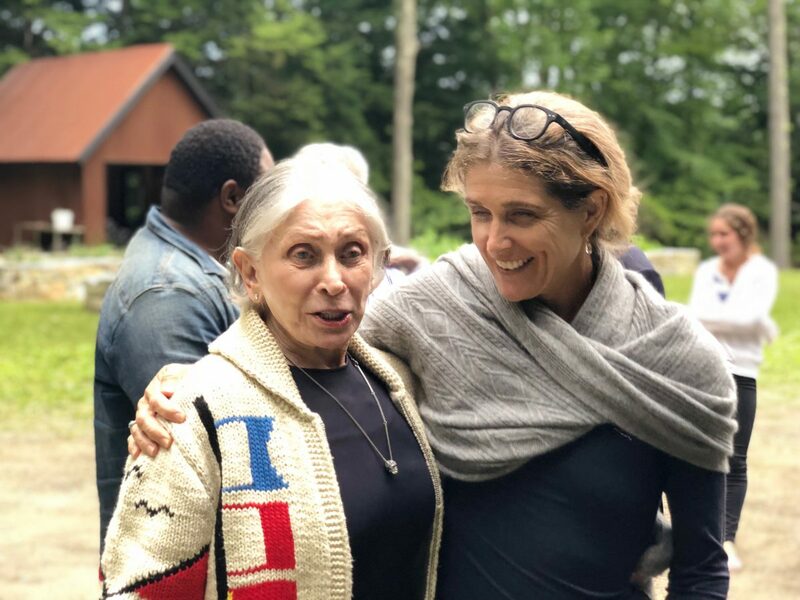 When pressed to write about the year that was 2018, I could only think about what a hard year it was for me personally, marked by the loss of my beloved mother-in-law, Pearl Nipon, at age 90. It’s hard to comment on 2018 without giving a tribute to her, and how she influenced me as a woman entrepreneur. The Philadelphia Inquirer does a wonderful job of capturing her influence. Pearl paved the way for so many, simply by working hard and never accepting “no.” While she was small in stature, she was gigantic in spirit and positivity – a spirit and energy that certainly fueled me. She believed she could do absolutely anything. And she did. Pearl started her first business at 18; she fired her most important supplier for making advances at her sister long before #metoo; she fought (and beat) breast cancer; she raised four children together with her husband (and my father-in-law) Albert; she exercised every day and did all of this with the most incredible grace and style. I used to “shop” in Pearl’s closet when I was looking for the perfect outfit for an important event or meeting. She was quick to give her opinion of what looked just right, and what didn’t. And, mostly, she reminded me that I could be both feminine and bold – just like her, and the clothing she designed. We lost a family matriarch in 2018, yet her influence will live on in the many women (not only family) whom she inspired. As the head of Wellness in the Schools, I will continue to evoke my inner Pearl when I get yet another “no” or another setback in our effort to end childhood obesity – like the most recent episode of flaunting fast food in the White House, or the rolling back of nutrition standards. This work is not easy, but nothing worthwhile ever is, and Pearl would never, ever back down. Elly Truesdell may have just recently joined the WITS Advisory Board, but she has played a role in Wellness in the Schools’ story since 2009. WITS had just begun a partnership with Whole Foods Market (WFM) that year, and she vividly remembers unloading cases of tomatoes and potatoes for WITS Labs at the WFM Bowery location. “I feel like I saw the program when it was in its beginning stages, and it has been absolutely amazing seeing it grow,” says Elly. Today, Elly is the Chief Strategy Officer at Canopy Foods, a food production studio that offers support in both brand strategy and manufacturing. 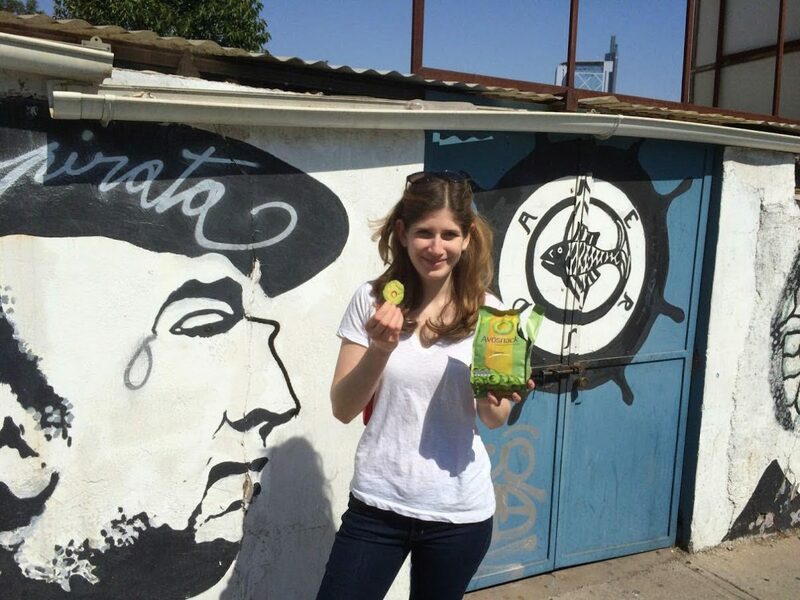 Elly’s journey within the food space is a remarkable one. After she graduated from college, she knew she wanted to do something in food but was not quite sure what that would look like. While her friends all had serious jobs in investment banking and consulting, she found a role in a restaurant group that led a variety of interesting concepts, such as a specialty produce store and a demonstration kitchen. Within this position, she saw many different sides of the food industry, such as an “event” side and a “high-end restaurant” side. She also built relationships with the farmers who provided the produce. This prompted her to work a short stint on a farm, and experience first-hand how food went from soil to plate. She realized the restaurant industry was not really for her, and that she wanted to work for a mission-driven company that was connected to agricultural sustainability and good sourcing in some way. For Elly, Whole Foods Market was the gold standard. She worked at a store in the marketing department and worked her way up, meeting Nancy along the way. “Nancy had submitted an application for sponsorship or donations, and I was overseeing those for the Northeast region at the time. We met to review the ask, and our relationship blossomed from there,” says Elly. As she continued working for WFM, she knew that there was a ‘local forager’ position available for the Northeast region. After learning about the role, she made it her mission to make that her job. After one year of dedicated preparation to make herself a good candidate, she officially started in 2012 as the local forager. Through the position, she was responsible for finding and supporting local providers of products. She found herself on oyster boats, visiting dairy farms, and talking to ice cream manufacturers to see which goods should and could enter the large retail environment that is WFM – a dream job. Thanks to Elly, beloved products such as Purely Elizabeth granola and Stumptown Coffee can be found on the WFM shelves today. After nine years at WFM, Elly found herself facing one consistent and glaring challenge – smaller growing producers were finding it difficult to find a co-packer or third party manufacturer that was going to preserve the product’s integrity, while helping the business tremendously scale. She joined Canopy Foods this past January as Chief Strategy Officer to help address this issue. While Canopy Foods is her full time role, she also spends 25% of her time as Portfolio Manager of Almanac Insights, an investment fund started by David Barber that extends the values of regenerative agriculture into venture capital. Thank you, Elly! WITS is so excited to have you join our Advisory Board. Ground to standing movements are big indicators of overall health for people of all ages. It represents fundamental movement patterns and progressive strength that we developed as babies to get us off of the ground. A ground to standing exercise can improve cardiovascular fitness as well as movement quality and strength capacity when loaded. As a body goes from a lying position to a standing position the heart has to compensate for various level and pressure changes causing it to work more. In addition, proper joint synchronization and muscular engagement is needed to overcome any imbalance and possibility of falling down. The apex of ground to standing exercises is the Turkish Get-Up which is a formalized set of movements done under load. Even simply gauging your progress on how easy or difficult it is for you to stand can indicate how healthy you are. Ultimately it’s the practice of going back to the fundamentals on learning how to stand up for ourselves. Grip your weight and move your arm so it is perpendicular to the floor. Place the opposite arm on the floor approximately 45 degrees from the body, and bend the knee on the side of the body that’s holding the kettlebell. Roll up onto the elbow, and then roll onto your hand slowly. Lift the hips, take the straight leg and sweep it under your body. Take the supporting hand off the floor, and get your legs in a lunge position. Stand up from the lunge! Driving into Trenton, New Jersey, you will be taken back by the massive, glowing red letters spelling out WHAT TRENTON MAKES, THE WORLD TAKES. This slogan hangs from a railroad bridge over the Delaware River. The slogan was chosen in 1910, when Trenton was a bustling and thriving city. While today, Trenton has lost many of its businesses, Trentonians are proud to live in the city, and partners such as Novo Nordisk have invested their energy to support the community. Three years ago, Novo Nordisk invited us to be a part of their Trenton-based collaborative, “Ready Set Healthy.” Together, we work to engage children in healthy eating and exercise. The collaborative is designed to help improve the health and wellbeing of Trenton’s young people by increasing knowledge about and access to healthy, affordable foods, to provide more opportunities for physical activity, and to give students, parents, and caregivers the tools to make healthy lifestyle choices. Novo Nordisk invited us into the collaborative to focus on increasing healthy food options and nutrition education at four elementary schools (Jefferson, Martin Luther King, Jr., Columbus, and Robbins). When we began in 2015, our first project was to partner with 37-year old Trenton-based non-profit, Isles, to organize tastings of seasonal recipes. We also taught quick, nutrition lessons (WITS Bits) in the classroom. As students’ interests of food and nutrition piqued, so did our program. While we began to teach culinary and nutrition lessons, Francisca Sohl, General Manager of Aramark (Trenton’s food service) became a invaluable partner to us. 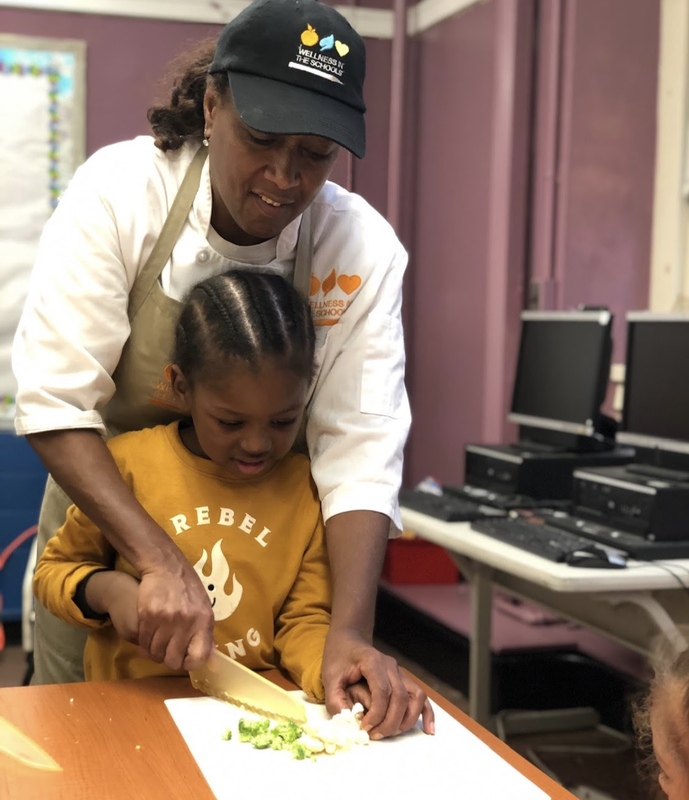 Together, Ms. Sohn and WITS Program Director Marion Williams discussed ways to bring new recipes, marinades, and sauces on the menu; for example, we prepared a fresh citrus marinade for chicken, and it was popular with both students and teachers. 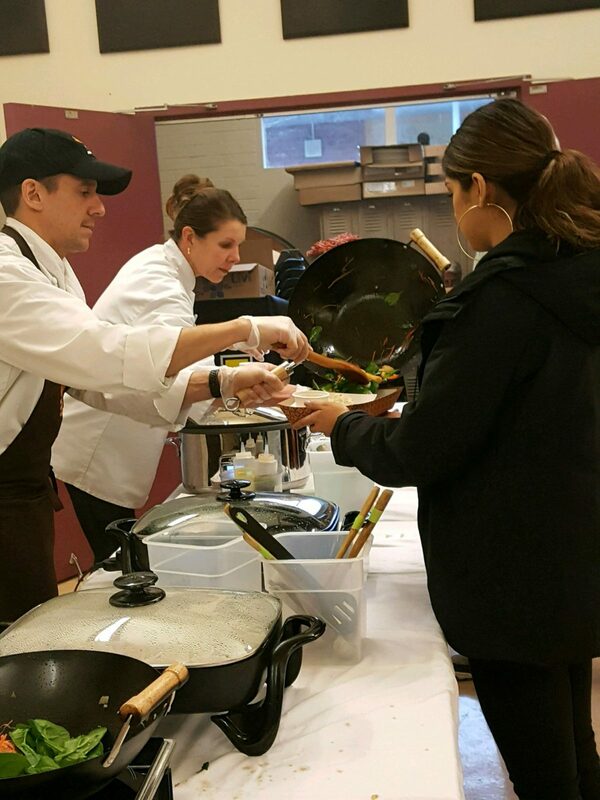 Last fall, Chef Anwar led a WITS Vegetarian Chili Lab in all four of the Ready Set Healthy! schools in Trenton. It was a hit, to say the least. As students walked through the hallway, they were welcomed by the the aroma of the cumin, chili powder, sauteed onions, garlic, and peppers that were being prepared for the chili. Teachers peeked their head into the classroom as Chef Anwar and the WITS Lab students were preparing the food to ask, “is it ready yet?” and “can I have seconds?”. We were so glad, (but not surprised!) that the scratch-cooked food was welcomed. We have also worked with Trenton’s school lunch staff to create a salad bar full of fresh and delicious vegetables – a great accomplishment between Aramark and Wellness in the Schools. As the year went on, Ms. Sohn of Aramark asked “what else can we do together?” This started the conversation of putting a WITS recipe on the Trenton School Lunch Menu in all 26 schools. The first menu choice was a given – Aramark and WITS chose to place the vegetarian chili on the menu. Beginning this fall, 16,000 students are enjoying a new recipe item. What’s next in Trenton? Stay tuned!